Panda VPN is the VPN from the renowned Panda Security software developer, and with a name like that, you know it’s going to be good. After testing out the VPN on a few of our devices, we can say that Panda VPN lives up to its reputation. Providing reliable streaming, torrenting, and protection, Panda VPN also bundles fabulous features like online security, antivirus, and data recovery. Let’s see what else Panda VPN has up its furry sleeve. Panda VPN has a complete no logging policy. And that means no logs, period. Unlike other VPN providers that say they don’t log your data but end up collecting details like connection timestamps and activity, Panda VPN collects absolutely no logs whatsoever. This is a big deal for privacy-conscious users and fits with the profile of an online security software developer. Panda VPN uses 256-bit encryption along with a whole slew of privacy and security features, vaccines, and disinfection patches to keep your devices safe all the time. We’ll take a closer look at the security features in the features section below, but suffice it to say, Panda VPN’s security is rock solid. Probably the biggest benefit that comes along with Panda VPN is the massive set of security features bundled with the VPN. Since Panda is a security service first and VPN second, it stands to reason that the security features are going to be fantastic (and they are). Panda VPN comes with a free antivirus. This itself is worth the monthly fee, but the list goes on. You’ll get a cloud cleaner, scheduled scans, full system scans, file quarantines, incident reports, live file analysis, and process monitoring all for the same price. What’s more, Panda VPN comes with hardware protection, so your devices will stay solidly secure. In our opinion, this is possibly the most valuable feature of all. But it’s really a tie between device protection and the data recovery kit that also comes with the VPN. Data recovery is an invaluable asset if you are attacked or if your data gets erased for some reason. Panda VPN comes with unlimited server switches and unlimited bandwidth. This means you won’t get throttled or have to deal with sluggish connections halfway through the month. Panda VPN is also lightweight, so you won't even feel it while it's running. Panda VPN isn’t like most VPN services that have physical servers located around the world. Instead, Panda has virtual servers that are based in 18 different countries. Virtual servers offer the benefit of being more flexible and agile, so users will appreciate this technology over dedicated servers. 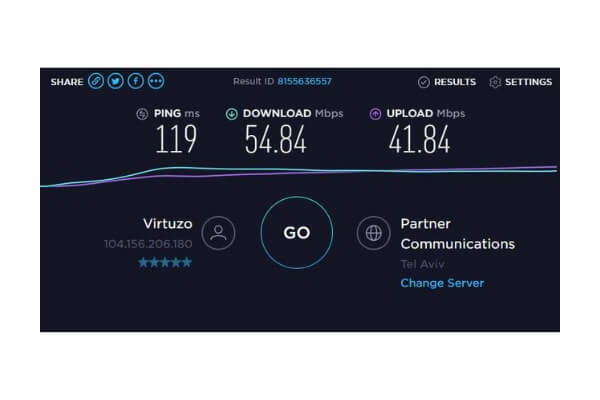 You may have heard that a VPN will slow down your computer, and while this tends to be true, it doesn’t need to be a night and day thing. In our test, the computer actually worked even faster when running with a VPN set to a server in the US. That’s definitely nothing to sneeze at. As you can see, Panda VPN’s 3-year plan brings the monthly price down from $10 to less than $3. That’s a 70% savings and well worth the investment. Panda Dome also has a free option. If you are just a casual streamer, want to unblock a site on a one-time basis, or just need something for vacation, then the free account is great. If you want something steadier, go for the paid version. Panda VPN also has a 30-day refund policy. Panda VPN supports torrenting and other types of P2P file sharing. You can choose one of the thousands of servers it has available, and pretty much all of them will work well for these purposes. Panda is great about explaining how things work, so if you get stuck, just ask for help. As with any good VPN service, Panda VPN makes streaming simple and fast. Thousands of servers ensure you'll get uninterrupted, speedy streaming, and the many security features allow you to unblock geo-restrictions like the ones you'll run into on Netflix US when you're abroad. A major criticism of the Panda VPN service is that it doesn't have a Mac client. This is a real deal breaker if you are a Mac user, but if you roll with PCs, then it won't affect you at all. We'd like to see Panda upgrading the service to include this large demographic as well in the future. When it first launched, Panda VPN was only available on Windows computers. That was unusual considering the fact that the other Panda products are open to Windows, Macs, iOS, and Android devices. But recently, Panda VPN launched its Android app, opening up this great product to a wider audience. We’re still waiting on the iOS version, but in the meantime, users will enjoy the smooth Android experience. How Does Panda VPN Compare? Panda VPN provides customer support via the regular Panda Security services. That means you’ll get help from pros. You can reach a representative via phone, email, or live chat. You can also reach out via Panda’s Twitter channel. Panda VPN makes it easy to get up and going. The entire interface is intuitive with bold colors and big icons for an easy experience. Plus, Panda VPN has an auto server option that will select the right server for you based on your location. Panda options are basic, too. You'll choose between auto or manual launch upon startup and which server you want as a default. Q: What’s the difference between a virtual and dedicated server? A: A dedicated server is a physical machine in a physical location. A virtual server, on the other hand, lives in the cloud, takes up less room, and offers users much more flexibility of use. Q: What limitations come with the free Panda VPN account? A: Panda’s free account is limited to 150MB per day, one default server, and can only be used on a single device at one time. Panda VPN is a simple and solid VPN product. We love that such a basic service comes jam-packed with so many antivirus and online protection tools. Plus, you’re getting device protection for the same price. Panda VPN plans are very affordable, and you can enjoy torrenting, streaming, and protected web activity from any of the thousands of virtual servers from this client.